So you’ve got one of those fancy new smartphones that allows for wireless charging, eh? Do you have a wireless pad on your desk or nightstand or are you still plugging your phone in every time you sit still? Stop that silliness and get yourself a charging pad. 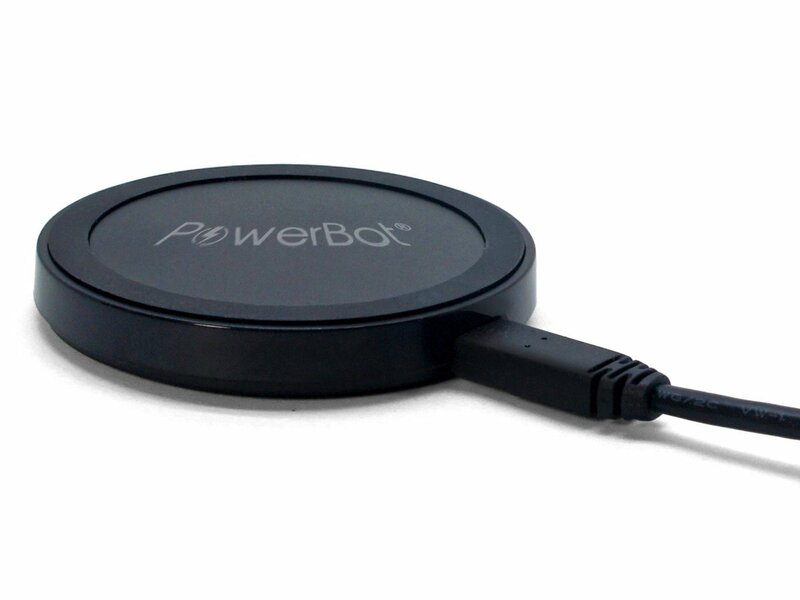 The PowerBot PB1020 Qi Enabled Wireless Charger Inductive Charging Pad (what a mouthful) is a highly rated solution to help you get more convenience from your phone. Designed to work with all sorts of devices (Nexus 5, LG G2, Nexus 4, Droid DNA, etc), this one takes up next to no space. Considering this one is on sale for half off we suggest picking up two. You won’t have to think hard about where you’ll put these guys. Power Source: Any charger 500-2100mA with USB port with Micro USB cable, or even plug it directly into usb port of the computer or TV or even power banks. “Trickle Charge” algorithm to maintain high level of power after fully charged. Two MicroUSB cables included – 1′ and 5′.